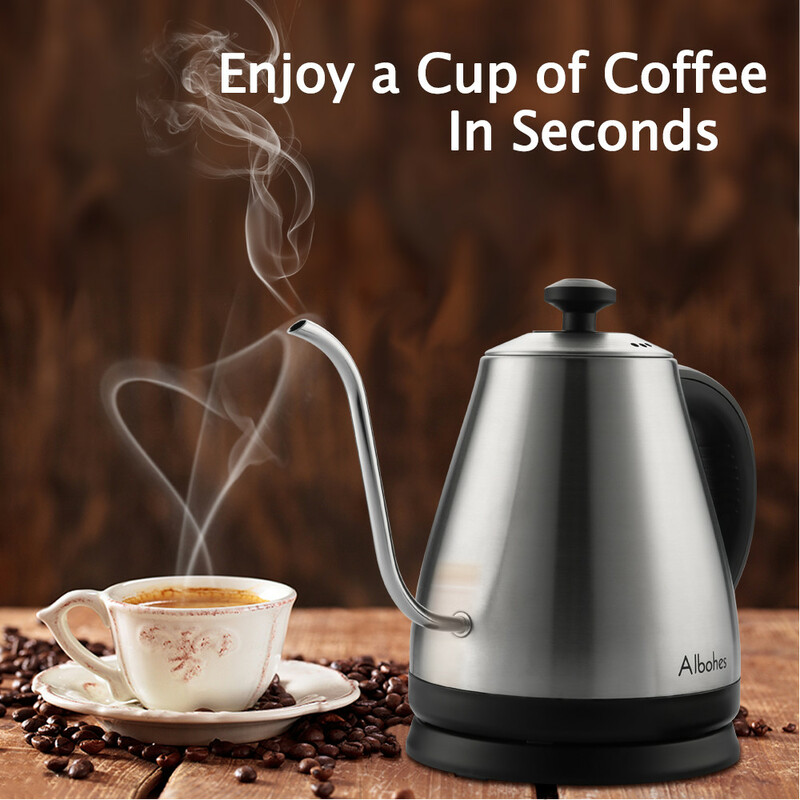 Enjoy that delicious cup of brewed coffee every time with this Pourover Gooseneck Electric Kettle. This electric kettle is way far from your ordinary kettle as it can let you make a café like coffee at the comfort of your own kitchen. With its gooseneck spout and intelligent temperature control, you will always have that smooth flowing hot brewed coffee. 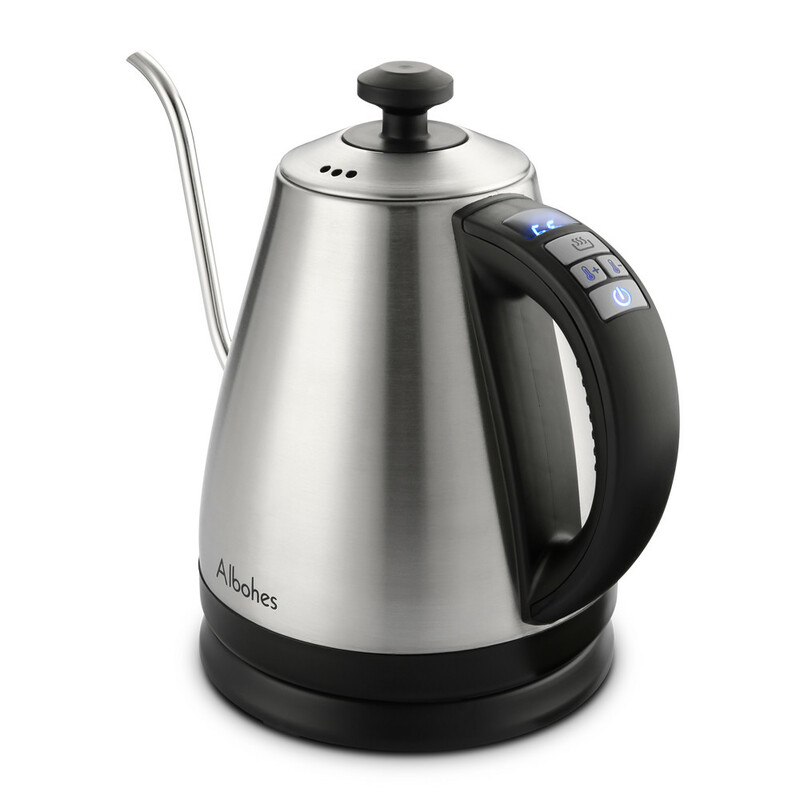 Albohes electric kettle with gooseneck spout can offer precise control for brewing coffee or tea. 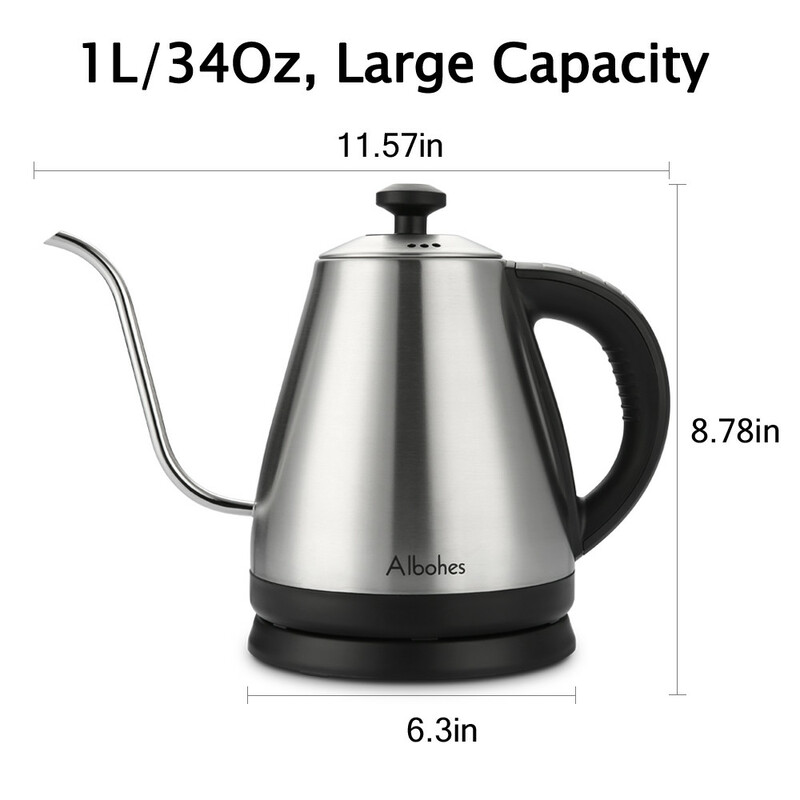 The long and slender spout restricts the flow of water to make a smooth and accurate pour every time, perfect amount of water is poured to meet your requirement while brewing no splash and excess. 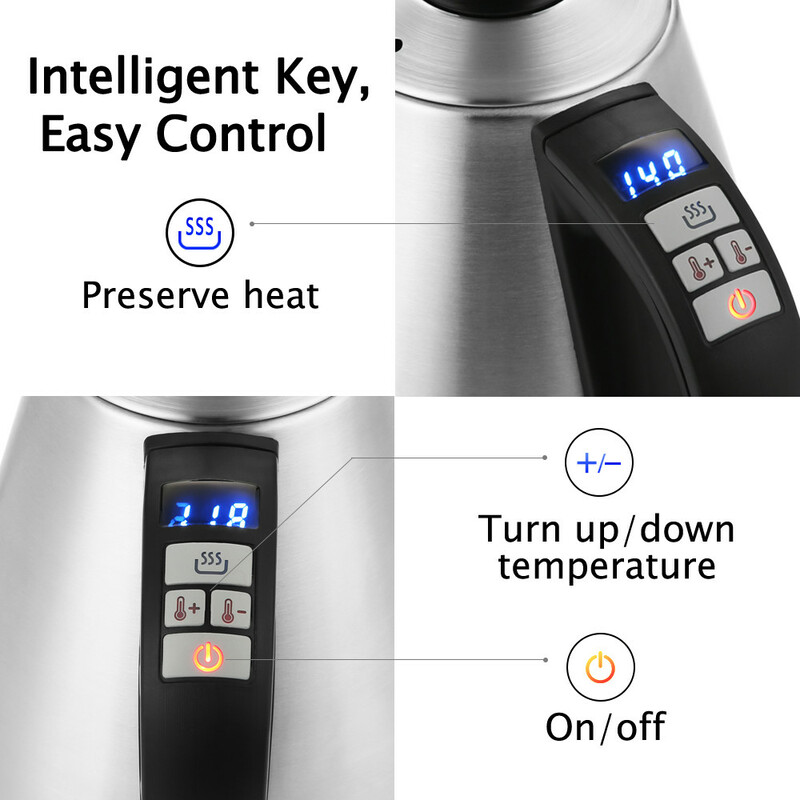 You can preset the temperature by pressing ” + / - “ button on the handle from 104F to 212F. Allows you to customize your hot water. 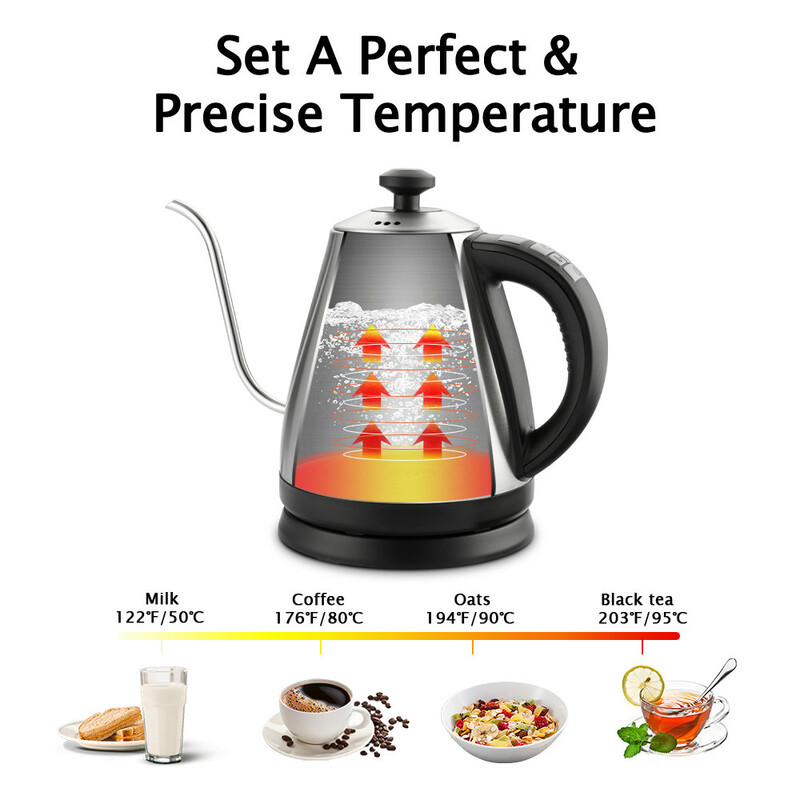 Quickly get the perfect different temperature for brewing coffee, tea, oats, instant cereal, etc. Do not worry that your desired hot water turns cold quickly. 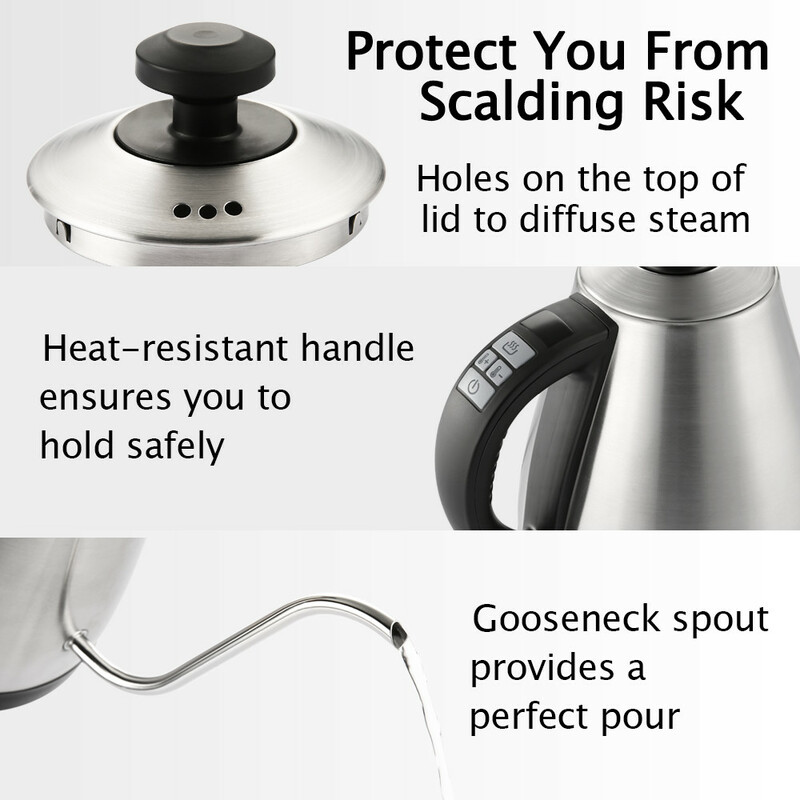 The kettle offers preserve heat function and keep your water warm. Less time on monitoring temperature, you will have more fun to prepare a cup of coffee and enjoy it with your family or friends since hot water is served whenever you need. Once your desired temperature is set well, the kettle will boil the water for you immediately, so you will have more time to do other things due to the kettle can switch off automatically and remind you once your hot water is done. Holes on the top of the lid to diffuse the steam. The heat-resistant handle ensures you hold safely. Also the gooseneck spout provides a perfect pour. Just try and see! Keep continuous press both "+" and "-" for 3 seconds, the temperature display will be switched between ℃ and ℉. 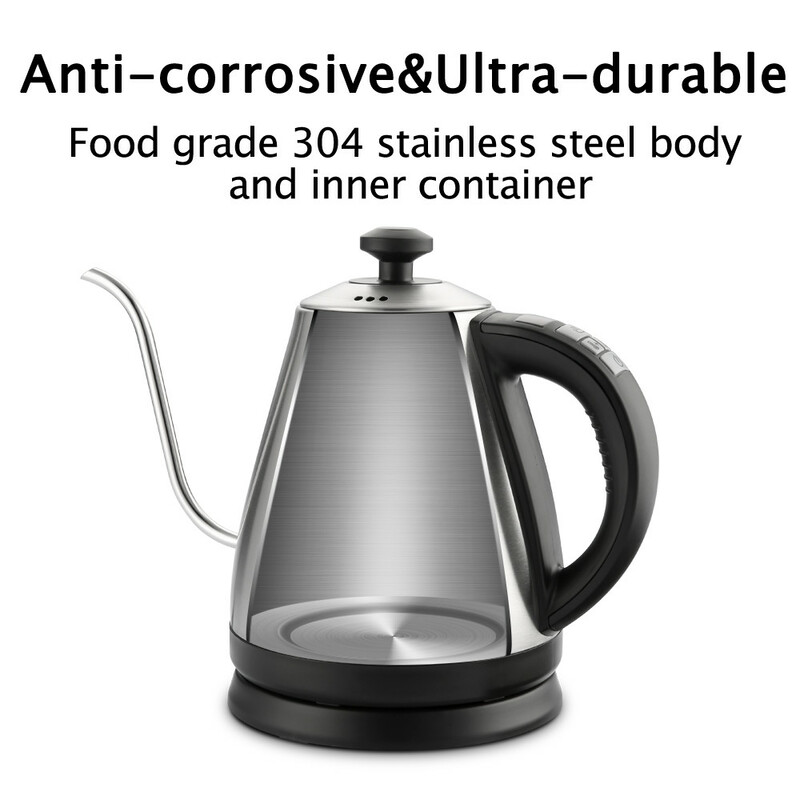 Great kettle, good price, fast delivery. very lovely, functional, notwithstanding have worn a onetime, liked very, esquenta fast, both degree celsius regarding fahrenheits, loved! Excellent kettle, the whole family happy, easy to make tea and coffee. Very satisfied delivery time, come in for an eagle 11 days. The kettle is perfect, original, high quality made, quickly heats the water to the set temperature, you can put the mode temperature keeping. Super! Recommend! Thank you!